The project Developing Eco Skills for a Green Economy - DECOS is approved within Erasmus + program. DECOS combines labor market integration with social integration through environmental awareness and green skills. The main objective in the project is to develop a new and innovative curriculum for fostering social and labor market integration of low-skilled adults through green skills. Within the DECOS project will be created Courses with three different modules: waste management, energy management and sustainability for low-skilled adults. Also within the project will be developed Cross-Media Platform, an interactive online platform for connecting future trainers, trainees, project partners and everyone interested in the project. Civil Engineering Institute Macedonia - Macedonia. Conservation and prevention of our cultural heritage is the crucial key for sustainable development of our country. Being professional conservator requires specific techniques, creative ideas and mind, and special skills. The wider objective of this project is to develop sustainable solutions of conserved built cultural heritage, that will contribute to sustainable future of our country. The most important priority within the project is enhancing the quality and relevance of VET learners` s knowledge and skills by developing professional courses for sustainable cultural heritage. Within our project we will design joint courses for preservation and preventive conservation of cultural heritage from climate change influences, using innovative and VET learner-centred approaches and developing appropriate assessment and certification methods. Learn innovative techniques on conservation to develop solutions for sustainable cultural heritage. Overall objective of the project is to strengthen CSOs capacities for involvement in the process of development of River Basin Management Plans in Albania, thus contribute toward wider public support of RBM Plans. As it is widely recognized general public mainly through CSOs and civil society networks engagement must play one of the most important roles in the process of public involvement in the development and implementation of River Basins Management Plans (RBMP). 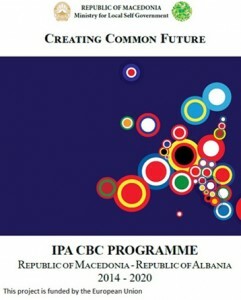 This is also clearly recognized in the Water Framework Directive (WFD) which is obligatory for Albania and which states that “the success of the WFD relies on close co-operation and coherent action at Community, Member State and local level as well as on information, consultation and involvement of the public”. Fact is that Albanian development success depends not only on a private sector and an efficient public sector, but also on a vigorous civic society sector. The link between government and civil society is nowadays crucial for the Albanian development. However, CSOs often lack capacity in some areas of expertise. Within this project we will strengthen CSOs capacities, which means that they will be able to fulfill their expected and desired roles, such as facilitation, information-provision, awareness creation, lobbying and advocacy. CSOs in Albania that are mainly focused on environment, especially water issues will expand their expertise to water resources management (WRM) within this project, with the accent on RBM plans development and implementation. The participatory approach must secure that different interest groups such as: business community, local or national institutions, media etc. will benefit from the action. The action is mostly directed toward relevant civil society organizations that will show that they are able to demonstrate how the proposed action is compatible with their long-term plans and to demonstrate advocacy skills in development and improvement of public participation, decision making and consultation in designated region or district, either by introducing or re-enforcing principles of Public Participation to the public. They will also have to set an example by applying a set of accountability and monitoring tools to their current work and practices. The project will ensure identification of all interest parties, recognize their needs, and direct the action toward meeting those needs. Raise public awareness related to the key environmental issues and problems that affect the aquatic environment and the promote new ways to address them. Being professional marketer requires specific techniques, innovative solutions, creative ideas, new skills, open mind, because the marketing is one of crucial keys for companies success and creating sustainable brands. The wider objective of this project is to develop marketing solutions for sustainable brands. solutions that will create competitive brands on the market. One of the most important priorities of our project is achievement of relevant and high quality skills and competences by developing program for marketing and event management. Within our project, we will design professional development program to improve the knowledge, skills and competences of marketing and event managers, using innovative and adult learner-centred pedagogical approaches and developing appropriate assessment and certification methods. Development and implementation of this project is sustainable investment for the future, because it will be highly effective program developed according to the needs and trends in the marketing and event management industry and will boost the performance of the marketers at their working places. The target group consists of marketing managers, event managers, entrepreneurs, who wish to upgrade their knowledge and to be competitive on market and bring value to the company where they work. The professional development program will improve their competences, linked to their professional profiles, increase opportunities for professional development, and will increase the motivation and satisfaction in their daily work, bring benefit to the company. The benefits for the companies will be in improving knowledge in developing marketing solutions so they can build sustainable brands. Learn innovative techniques for marketing event management to develop solutions for competitive brands on the market. • Engage with the entire construction sector supply chain to raise awareness of how BIM can drive sustainable energy efficiency at all stages of the process. • Encourage upskilling to achieve better employability and energy efficiency through a blended training programme. Institute for Research in Environment, Civil Engineering and Energy, Macedonia. • Increase in the number of skilled construction workers (000 expected followers of the project; 250 SMEs engaged; 2.000 professionals expressing interest to be trained; 1.000 professionals will be upskilled during the project trials and evaluation). • Improved collaboration and understanding across different trades and professional groups. • Demonstrated reduction in the gap (for at least 10%)between designed and actual energy performance through improved quality of design and construction. • Improved energy savings for at least 15% and increased share of renewable energy sources and recovered energy use for at least 5%, in total energy consumption of the building, due to the Project actions. 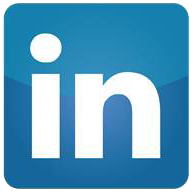 • Improved market recognition of skills, by a recognized certification scheme. Online presence and smart tourism development (based on knowledge and innovation) are becoming deciding factors about competitiveness and visibility of tourism destinations. In order to be successful on the global market, the whole region needs to overcome large number of challenges. Implementing digitalization and ICT technologies in the tourism sphere could result with exponential growth of the region. Tourism businesses in our region should keep up with these new trends and need to reposition themselves on the market and rebrand their offers to be more appealing to the contemporary tourists searching authentic experiences and added value. Overall objective of this project is to introduce smart tourism development concept based on more innovative and efficient use of our current cultural and natural resources and existing human capital. This will result in increased business opportunities for local tourism service providers, greater number of tourists in the region and generated new employment. The key stakeholders in this action are individual entrepreneurs living and working in target municipalities (artisans, craftsmen, farmers, athletes) not involved directly in tourism sector; local tourist service providers (tour guides, local agencies, family restaurants) who are already in the tourism sector; public institutions related with managing cultural and natural heritage such as museums, galleries, national parks that need to modernize and become part of the tourist offer. Project will start with research and development phase, supported with the training phase, and will result with creating innovative people to people online platform that will provide range of tourism experiences (combining products and services) to contemporary consumers and promote the region. 1st GET READY is the Research and Development (R&D) component that will conduct quantitative and qualitative analysis of demand and supply in target region, compare current situation with benchmarking trends using the European Tourism Indicator System. Outputs will be 5 studies on various relevant elements such as tourist potential, sustainability aspects , cultural and natural heritage, profile of tourists, Tourism flows model, market segmentation. These studies will provide strategic insight for the project activities and serve as framework for developing trainings in the next component. 2nd ENGAGE AND TRANSFORM – is the training component that will mobilize key stakeholders and help them to transform their existing products/services into more attractive experiences. 5 module training course, webinars and online trainings will be designed and implemented for 100 representatives from the target groups using classroom and practical experiences, mentoring and peer support. Second phase of this component will be the infrastructure rehabilitation of the Ethnographic Museum in Mat area that will contribute to the positioning of this area on the tourist map. 3rd INNOVATE – chis component will contribute to promote cross-border region as all-year-round, attractive tourism destination. We will create people to people online platform (web and mobile) and physical info points, and use them for promotion of unique touristic experiences offered by locals from the cross-border region. The platform will be built using cutting-edge technology in an innovative and simple to use approach. The main usability focus is in its simplified user experience in order to make it available for a wide range of users. The platform will have global applicability and will be highly scalable. The uniqueness of this tool is in the fusion of the latest tourism trends with innovative IT solutions. We expect to have at least 30 unique experiences offered on the platform the first year. 4th SUCCEED AND PROMOTE - covers the visibility and promotion of the project results. It will start with creating a focus group of first experience providers for the platform. Additionally, it envisions creating a digital community for idea and experience sharing, recommendations, feedback, etc. which will serve as a channel for bringing new customers to the platform and therefore new tourists to the region. IECE is a part of the approved project titled Promoting academia-industry alliances for R&D through collaborative and open innovation platform - All4R&D. 13 International partners take part in this project that is led by the Civil Engineering Faculty, UKIM. The other partners of the project are: Ruhr - Universitaet Bochum, Univeristy of Sarajevo, Dzemal Bljedic Univeristy of Mostar, National University Architecture and Construction of Armenia, National Polytechnic University of Armenia Foundation, Yerevan Telecommunication Research Institute CJSC, Institute for Informatics and Automation, Winner Project d.o.o , HP Investing Mostar, World University Service - Austrian Comittee и Vaasan Yliopisto. The project will last 3 years and it begins on 15.11.2018. The aim of the project is to accelerate research, innovation, knowledge and technology transfer in B&H and Armenia through enhancing strategic academia-industry alliances. In order to achieve the project objectives, the project will target at individual capacity development, institutional development and inter-institutional collaborations. • Professionals from industry will develop new experineces and invest their knowledge in education as traininers and conducting joint research on meaningful topics according to their company/industry needs. At institutional level, Cooperative R&D Units will be embeded in the universities’ structure and conditions for communication and cooperation with other units. Cooperative R&D Units will support the establishing academia-industry alliances and maximising the benefits from these partnerships. The Units will enhance the capacities of universities and companies in B&H and Armenia to conduct joint research projects and increase the chances for participating in project funded by third-party funds. Inter-institutional collaborations will be provided through the Collaboration and Open Innovation platform. Large network of researchers from universities, industry, young researchers (MSc and PhD students) will be developed, providing opportunities and research infrastructute to collaborate. This project activity will address the priority to improve the knowledge triangle and accelerate innovation in B&H and Armenia. All project activities will increase the awareness on importance of cooperative research and ultimately academia--industry alliances will influence on national innovativeness and competitiveness. • Fostering and strengthening the partnerships between Germany and Macedonia in the field of education, academic and scientific training, as well as research. Project objective: The wider objective of the project is to improve Macedonian engineering manager’s performance through improvement of their management and leadership skills. The major aim of the project is to jointly develop and implement professional development courses for engineering management and leadership skills, which will address European standards for management and leadership, as well as be built on rigorous research evidence and principles of adult education. The professional development courses for management and leadership skills will be modular and practice-oriented, and will overcome skills mismatches and increase management and leadership competencies of engineers working on managerial positions in Macedonia, and in the region prospectively. Target group: The target group consists of engineering managers, engineers entrepreneurs or engineers who wish to become managers, from Macedonia and the neighboring countries with similar context. The professional development courses for management and leadership skills aim to improve their competences, linked to their professional profiles, increase opportunities for professional development, and will increase the motivation and satisfaction in their daily work. • Bit - management Beratungs GesmbH. • Developing learning materials and e-learning environment. • Certification of the courses will enhance the sustainability of the project and offer opportunity new adult learners. Project objective: The wider objective of the project is to improve manager’s and leader’s performance and sustainability actions through enhancing their leadership skills and abilities to innovate, collaborate and manage change. The major aim of the project is to jointly develop and implement program for sustainability leadership, which will address key issues in sustainability, and will enhance the ability of leaders to innovate, collaborate and catalyze change, creating sustainable organizations and societies. The program will be developed based on the needs of managers and leaders, research evidence and principles of sustainability leadership, sustainability standards and SDGs requirements. 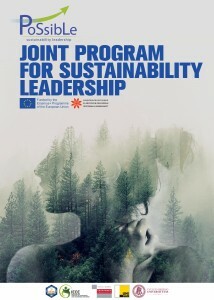 Throughout the joint program for Sustainability Leadership they will develop advanced leaderships skills and practices, ground theoretical approaches in practice facilitated by distinguished affiliates, receive professional orientation by providing meaningful application of the learning in their organizations, network with peer from other countries and working together on sustainability projects. Target group: The target group consists of: managers working in local, national and governmental bodies, the private and non-profit sector, and are willing to make a difference and integrate strategies for sustainability in their organizations. Also, target group are students who have interest and plans to work as key players in project management and organizational development environments, where broader issues of societal development are important. • Implementation of joint program, mobility of students and academic staff. • Stimulation and encouragement to initiate projects, businesses or organizations with the purpose of working toward sustainable development, new opportunities to cultivate and re-create the working environment that has the capacity to stimulate continuous improvement on a broad front.